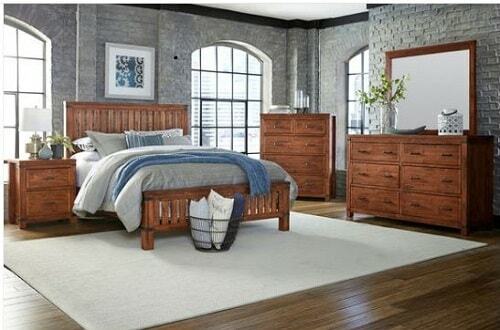 The universal clean lines that are beautifully crafted in this beautiful bedroom set give a universal style that can fit in many different homes style. With the rich chestnut finish, brass metal knobs, and distressed details in this collection, you can add rustic charm to your bedroom. 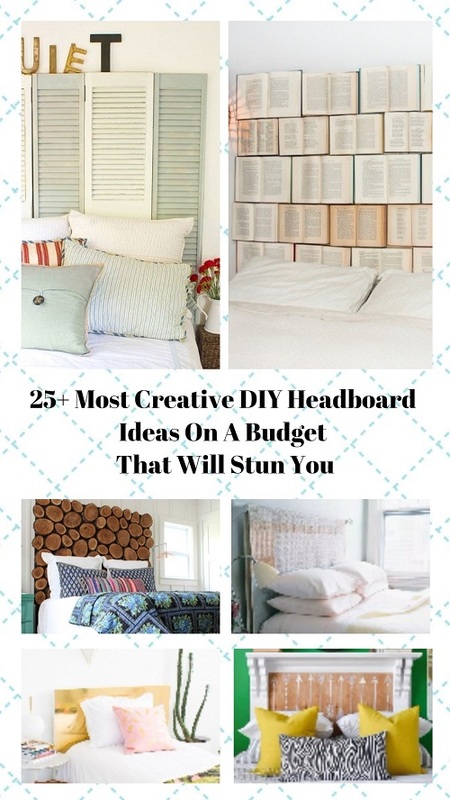 Meanwhile, you can store more wardrobes to the dresser drawers that provide ample rooms of storage. 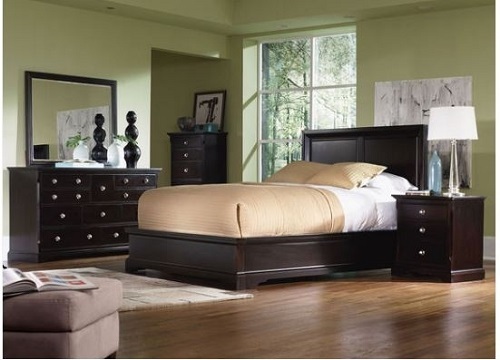 This collection includes a King Bed, Dresser, Mirror, and a Nightstand that will complement your bedroom with the warm and rustic impression. This collection can be an option if you want to add casual contemporary impression in your bedroom. You can feel the warm and charming atmosphere as this weathered natural looking wood turn your bedroom into a rustic escape. 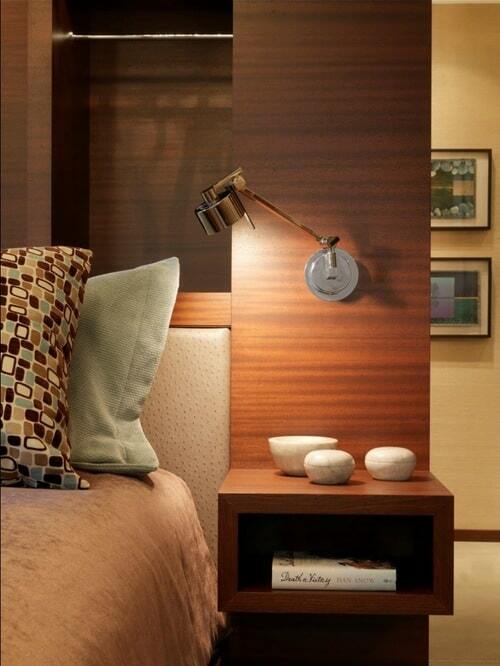 With metal components such as drawer and door handle, this collection fits in your industrial style bedroom too. In addition, it is featured with vertical wood planks headboard and footboard, multiple dark shades, and weathered natural finish, this collection gives a rural atmosphere will revitalizing your sleep after a long busy day. This package includes King Bed, Dresser, Mirror, and Nightstand. The design of this elegant bedroom is intended to be a match between urban cottage style and contemporary or traditional decor. Add chicer feels in your bedroom with its Louvered details, reverse-pyramid feet, classic pilasters and raised panel moldings. In addition, don’t be afraid with dust, as cabinets are fully dust-proof between drawers. 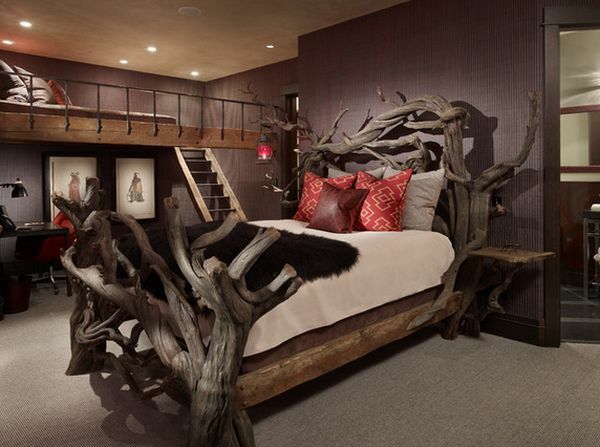 Then, have a nice retreat to your bedroom with its soothing cool gray finish. This package includes Queen Bed, Dresser, Mirror, and Nightstand. 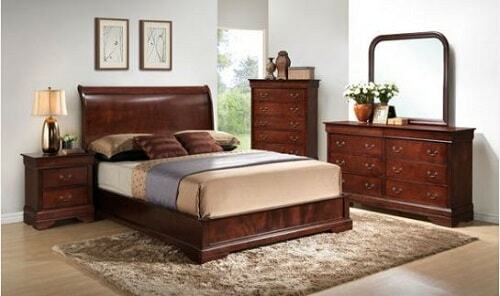 Add a nice sophisticated classic touch to your bedroom with this Ellsworth Bedroom Collection. This product features elegant moldings while a sleek with the versatile black finish will match perfectly with your existing contemporary decor. Don’t worry to place your bunch of stuff as it has ample storage space. In addition, the round silver metal knobs add a beautiful contrast to the elegant dark wood. This package includes Queen Bed, Dresser, Mirror, and Nightstand. 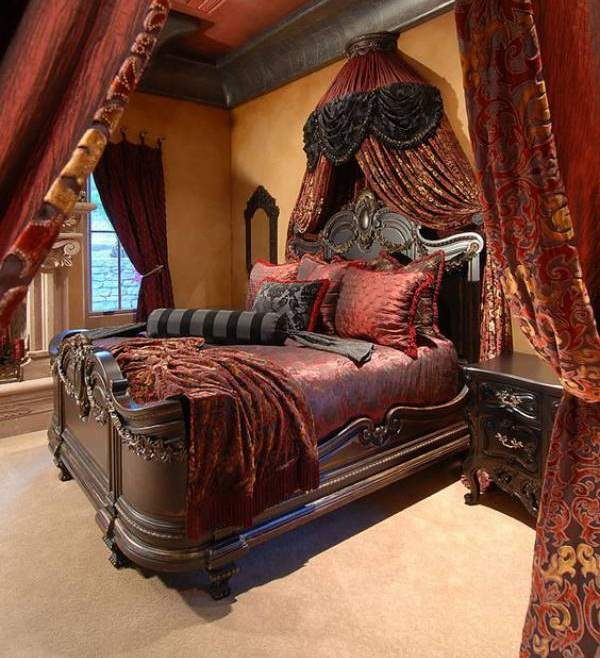 The dark merlot finishing of this Georgetown King bedroom set pops up a traditional feel in your bedroom. Contemporary edge is balancing the classic look of clear lines in this bedroom set. In addition, it features elegant moldings and curved apron design on the base. Meanwhile, the clean and traditional decor will be a very nice match for this elegant furniture. With flagrant circular silver, contrasts to the richly colored wood for an elegant appearance. 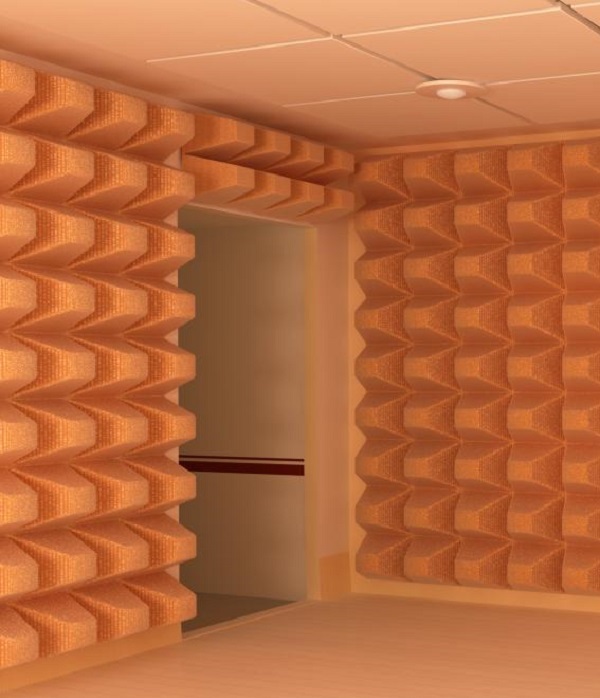 An elegant enhancement to the overall look of your bedroom. 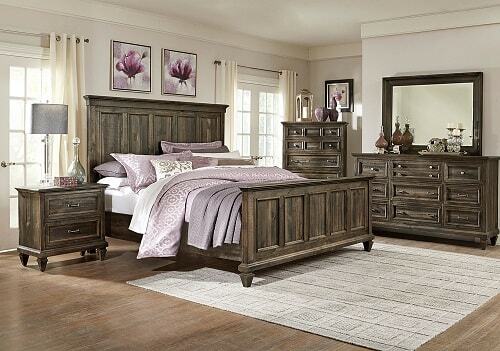 Enhance your bedroom style with this antique white finished Taryn storage bedroom collection. As the antique white finish adds elegance to your bedroom, its black drawer pulls will catch your view. This set is totally impressive its versatility, as it comes with the classic French dovetail construction in the drawer. Meanwhile, intricate moldings and pedestal-style feet exude versatility that reflects a strength inside the beauty. 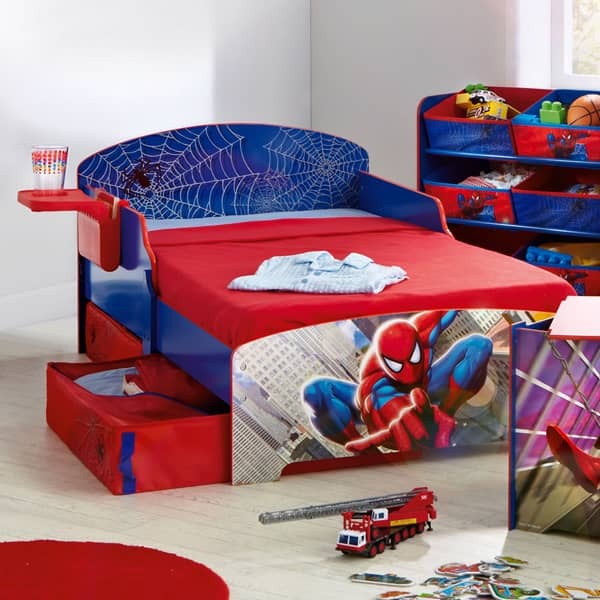 You can store more of your stuff to the drawer storage in the footboard. 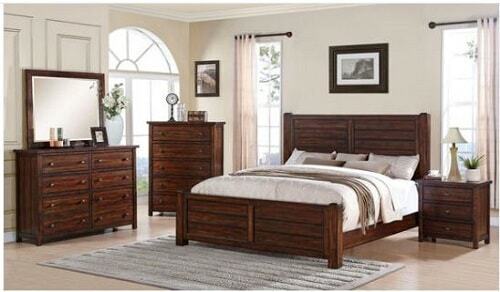 This product includes Queen Storage Bed, Dresser, Mirror, and Nightstand. 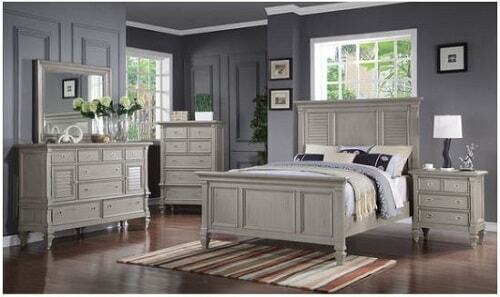 Add the classic nuance to your bedroom with this Stratton bedroom collection. 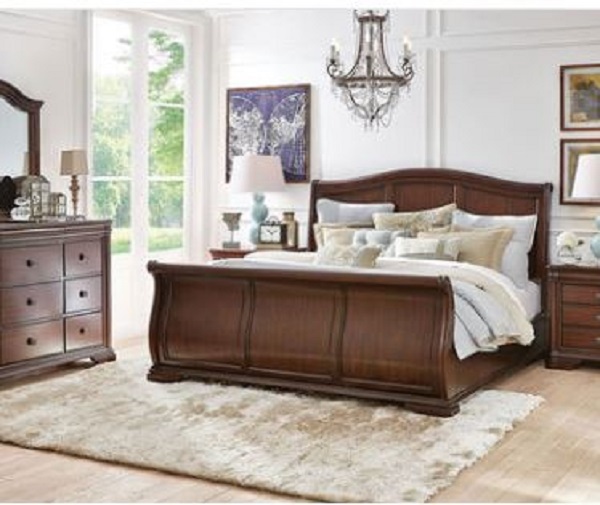 Using the classic sleigh bed and antique brass hardware, this collection becomes one of Levin bedroom sets flagships.With poplar veneers and elegant brown cherry finishing, this bedroom set exudes fancy impression. A contoured and paneled headboard and footboard with decorative rosettes become the focal point that gives your bedroom’,s overall look a classy traditional touch.